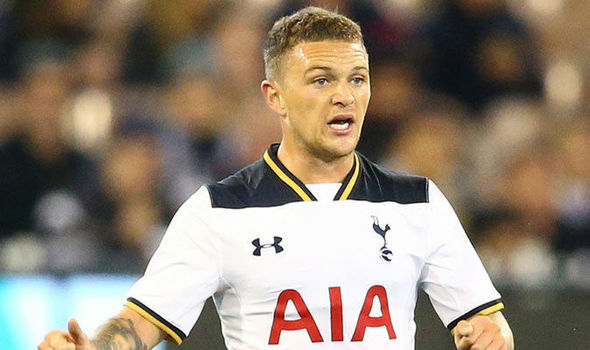 Trippier joined the north London giants from Burnley in the summer of 2015, and he was originally seen as a backup option to Kyle Walker, who was a favourite among the Spurs faithful. However, the one-time England international took the chance at his disposal and eventually ousted Walker from his position of comfort. Walker sealed his move to Manchester City in a £50m deal earlier this month after he was offered the chance to double your contract, and this will assure Trippier of a regular starting role for the 2017/18 season and beyond. Spurs are on the search for a new full-back, who could potentially provide competition to Trippier, but the Englishman will be confident of sealing his berth, should he maintain his performances in the backend of the previous season. Mauricio Pochettino’s side have yet to make any notable signing in this summer’s transfer window, and this presents the confidence the manager has in his players, who propelled the club to their best ever finish in the Premier League era. A number of first-choice players have been linked with big-money moves but the club are likely to fend off interest by placing substantial price tags. This entry was posted in Tottenham News and tagged Tripper. Bookmark the permalink.